Who Is Knight’s Writing Company? Today I’m flying to Boston for a couple of days. This gives me an opportunity to answer a popular question: ‘Who are you?’. Every customer has received a thank you note in their order and each gets a little self-portrait-cartoon, which I should probably have apologized for in advance. Aside from the odd selfie on Instagram and an About Us page that needs some serious overhaul, I’ve not figured that much in a company that is named after me! I moved to Canada from England in 2003 and settled down in Aurora, north of Toronto with my wife, Ling. In my early days I did what all immigrants to Canada do. I worked as hard as I could in my chosen trade. Software development. 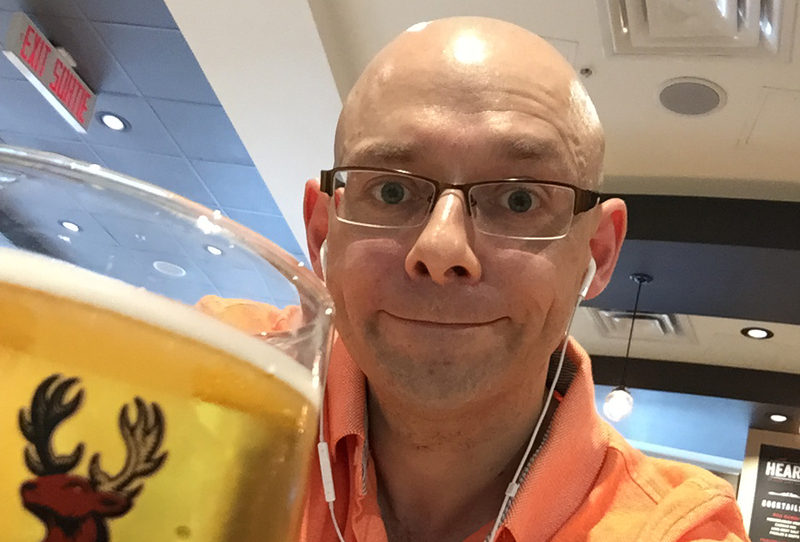 Moving from one company to another I grew impatient with my work life and joined forces with another developer to form a small software consultancy. This lasted for six years, and while we did well, I felt like I needed more. My obsession with online retail, international trade and the technical aspects behind being found on the internet started when I formed Cool Chess Canada. This little online store struggled for sometime while I learned the ins-and-outs of user experience, payment systems, shipping, taxes and other must-know topics. Cool Chess continues to grow strong to this day but the products are big and heavy and difficult to pack and ship. There are logistical difficulties in trading with the Far East and India that can be very challenging at times. Enter Knight’s Writing Company! Pen turning became an obsession during times of stress and I cranked out as many ball points, roller balls, and fountain pens as my friends could handle. If you haven’t tried woodturning I’d strongly recommend giving it a whirl. Fountain pens were a particular hit with friends because they are very unique and a lot more useful than the honey dippers I was honing my skills with. A beautifully turned fountain pen barrel with a soft velvet finish and a converter filled with a beautiful ink was a thrill to see every time I completed a project. But let’s face it. 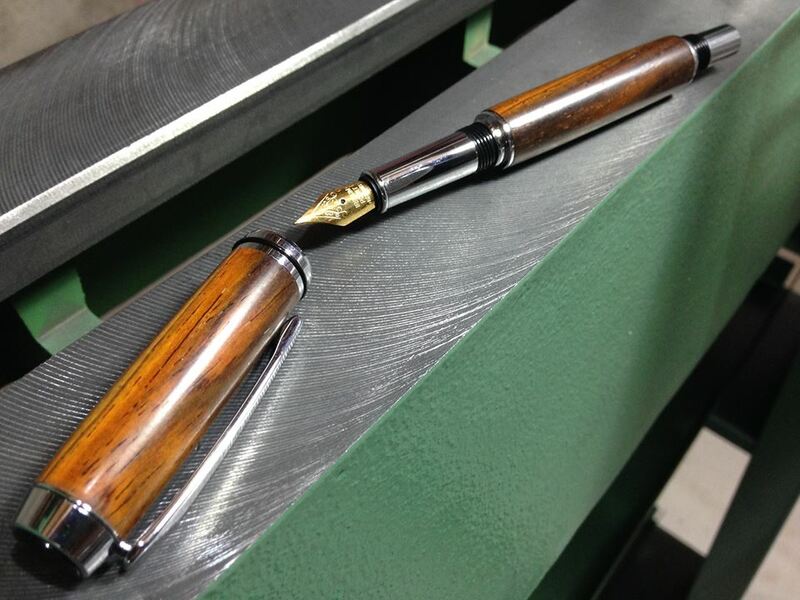 Customers who want hand turned pens are few and far between. I still turn pens to this day (I have an order of sixteen to go to China in September) but there is no doubt commercially made pens really hit the spot with enthusiasts! There is simply nothing better than writing with a Japanese, French or German-made fountain pen, perhaps with a lacquer or metal barrel and an exacting nib. An online fountain pen store seemed like a natural avenue to pursue. And so that was the opportunity I decided to investigate. Smaller packages, the possibility of working with distributors as well as manufacturers, ease of shipping and something that was a definite niche. However it is a competitive market and it has taken us some time and a lot of work to gain some traction. So far so good. We have happy customers and few complaints. I very much pride myself on treating our customers as well as we possibly can. I hate the idea that a customer will open their package and be upset with what they see - so we will always strive to go the extra mile in customer care. There are always things we can improve and as long as we approach our business with an open mind and learn from our mistakes then things can only get better. When I’m not obsessing over fountain pens and chess sets I’m like any other guy. I cut the grass. Moan at house work. I’m an avid rock climber and I love to exercise and remain healthy while also enjoying the odd glass of wine or beer. I’m not out of software either. We have another company entering that space soon. But rest assured Knight’s Writing Company will continue to grow and we will continue to bring more products to the store. Upcoming goodies include higher end fountain pens from Waterman Paris and Parker. 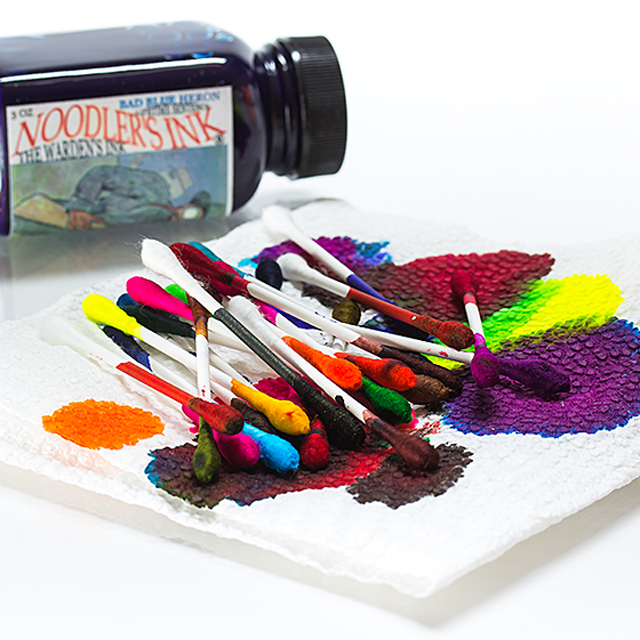 We have inks from Pilot and Staedtler and we have three new pens coming from Noodler's Ink as well as nibs for your Ahab, Konrad or Nib Creaper. I always encourage customers to drop me a note and suggest what products we should carry. It’s important that we listen to what customers want and then try to make it happen. Do you have a wish list? Then let us know! Is there a topic you’d like me to put in the blog? Let us know! And if there is anything we can do better - let us know! Great post, Graeme! It’s nice to learn more about the sketch I received along with the hand written thank you note! I’m looking forward to exploring my new found obsession with fine writing instruments, and am super happy that I can do so with a local business. It’s been great talking ink with you already! Thanks Evan! I appreciate you being a customer and it has been great talking combinations of nibs and inks! Enjoy! !